Ordering a New York steak is a real New York experience and a treat. There are distinctions between the the ways of cooking it and this must be specified when you order. There are also so many cuts of meat to choose from, read more and find out where to eat your New York Steak here. A good steak is easy to find in New York. 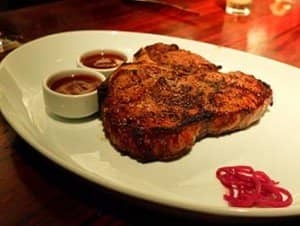 The chain restaurants, like Applebee’s and Friday’s (there are several branches of these throughout the city), offer a decent steak for an affordable price. If you are in the mood for an excellent steak, cooked to perfection and are willing to spend $50 to $70, go to Smith & Wollensky! Not only a great, dry aged steak but an impressive looking restaurant in Midtown East. Another good location for a good quality steak is Wolfgang Steak House on Park Avenue. Established 4 decades ago, they know how to cook a steak! The same can be said for Ikinari Steak too. At this East Village restaurant you eat standing up, at tall tables. I not only had one of the best steaks ever here, their sauce is amazing too. Finally another recommended place is Strip House. 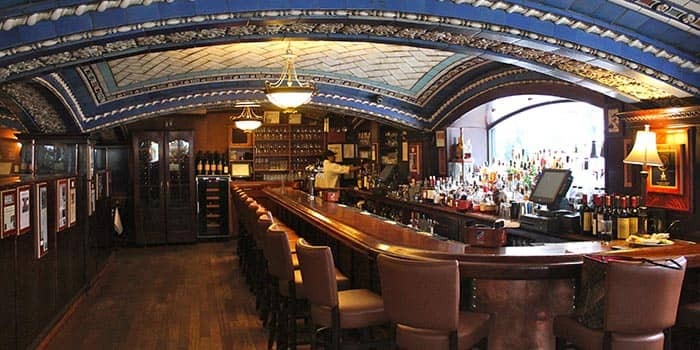 With a few locations across Manhattan, and a decent cocktail menu, a good night is almost guaranteed.